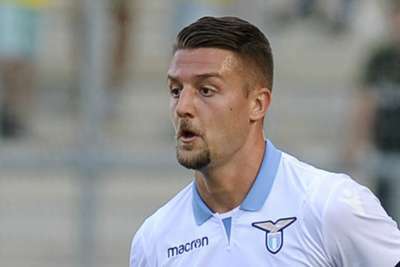 Lazio midfielder Sergej Milinkovic-Savic is not a transfer target for AC Milan and there has been no contact between the clubs to set up a deal, says Rossoneri sporting director Leonardo. For the second year in a row, Milan have been one of the busiest teams in the European transfer window, signing Samu Castillejo from Villarreal and Uruguay left-back Diego Laxalt from Genoa to beat Friday's transfer deadline. Reports in Italy claimed Milan were aiming to conclude a deal for Serbia star Milinkovic-Savic, with a package worth €40million said to have been struck for the 23-year-old. 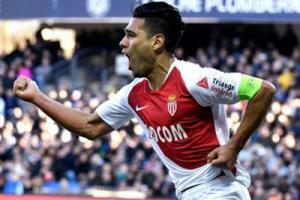 But Leonardo denied that was the case, citing the need to meet Financial Fair Play (FFP) regulations as a barrier to landing big-money deals following the arrivals of new players including Gonzalo Higuain, Mattia Caldara, Pepe Reina, Ivan Strinic and Tiemoue Bakayoko. "There was no contact, no negotiation, and I don't know why the press thought there was," Leonardo told a news conference. "I know his agent, we go back a long way but there were never any negotiations or foundations for a deal for him. It's simply not possible for an expensive player like that and we have to respect FFP. "Our transfer deals are all linked, a player comes in but one goes out, it hasn't been easy but we've managed it, for example the deal with [Leonardo] Bonucci, Caldara and Higuain. "It's important to balance the books, it's part of our wider goal. But even though it can be tedious to talk about balancing the books the fans want results and to see action, we have to be clear with the fans and have transparency in this respect as well. "Balancing the books during the transfer window was one of our main aims and overall we have managed to do that, we are very pleased."